Steven Gullotta Industrial Industrial producer Neon Insect has been making music since he was 17 but I did not catch wind of his work until late last year when he announced he would be releasing the official soundtrack for a video game called Abatron. The producer has since been on a binge completing and promoting his current album Glitches which is an industrial fueled and muti-faceted album that will boil your blood in rage and- at times - allow for a calm, cool, and collected sci-fi universe creep over your skin through delicate ambient pieces. 'Thoughcrimes' starts off the album with an electro-industrial ballad full of politically charged samples and lyrics, evocative atmospheric electronics, and just a general love for thumping percussion. That love for concussive-powered percussion is really shown off in 'L.L.t.Q.' which takes all the rage and fury Neon Insect can muster and puts it into song. Featuring the vocals of Claus Larsen from Leaether Strip, the song stands out as each shout of the line, "God save the queen," is backed by a smattering of disturbed guitars. After the first two songs on the album I was given the cinematic and ambient side of Neon Insect with 'Sneaky'. Still containing an ominous presence and that thumping percussion I've come to love, 'Sneaky' turned out to be a technical marvel to my ears with it's intricate patterns and sci-fi themes. A much more ambient rework of this song appeared on the album later, but it follows much of the original's schematics minus the harsher elements. French producer Aline Le Gonidec AKA Enlia came along for the ride as well to remix the track 'The Council', which comes off of the Abatron soundtrack mentioned above. IDM mixes with a cinematic score - it creates this really well done cyberpunk-like track that I could easily listen to whilst dreaming of neon soaked nights. Another featured artist on the album is Columbus, Ohio based dirty pop diva Twill.Distilled on the track 'To The Moon And Back'. Spewing out fast paced lyrics, 'To The Moon And Back' takes in play a couple of retro 8-bit sounds and glitched out effects. 'Grey Hat' is along the lines of 'Sneaky' in that it incorporates cinematic appeal, ambiance, as well as Neon Insect's percussive beats. Then I got to the track 'I.D.C.' which takes into play drum'n'bass as well as a different approach to production then the rest of the album. While the vocals were fine I felt as if the rhythm and sound to the song was an overall letdown in comparison to the rest of the album. The only other little bits of the album that I have not mentioned is a bonus radio edit of 'Thoughtcrimes' as well as a couple of almost intermission like pieces which read with Japanese text. Though not officially mentioned on the album's tracklist, the weird little bits of experimental noise fit fantastically on the album. If he was not able to catch my attention before, Neon Insect certainly has the love of my ears and aural senses all over him now. 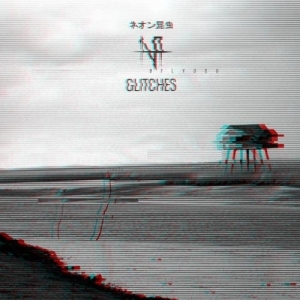 Glitches is a fantastic and powerful romp through electro-industrial, IDM, ambient, and cinematic sounds. It's harsh, it's calming, it's panicked, it's destructive, but most of all it is easily one of the better listening experiences I've had this month. This will be out on February 16th so do not pass it up. Industrial producer Neon Insect has been making music since he was 17 but I did not catch wind of his work until late last year when he announced he would be releasing the official soundtrack for a video game called Abatron. The producer has since been on a binge completing and promoting his current album Glitches which is an industrial fueled and muti-faceted album that will boil your blood in rage and- at times - allow for a calm, cool, and collected sci-fi universe creep over your skin through delicate ambient pieces. Industrial Duo Hide Release New Single 'Wildfire', Announce Debut Full Length Album "Castration Anxiety"